Rebellious in a soft way. Deluxe black boasts a timeless trend of rock chic. Delicately embedded with entwined silver studs on a luxurious black suede. 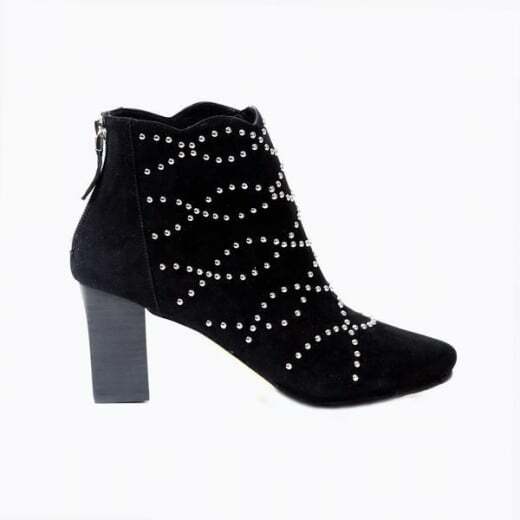 Paired with a short black jacket is the best way to compliment these beautiful high heel boots.